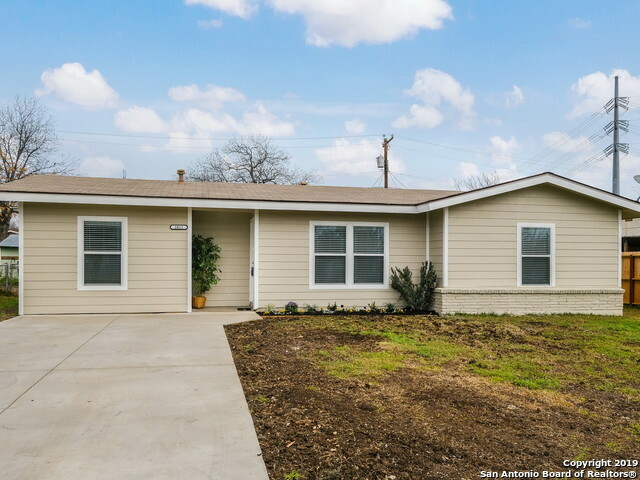 All CRESTHAVEN HEIGHTS homes currently listed for sale in San Antonio as of 04/24/2019 are shown below. You can change the search criteria at any time by pressing the 'Change Search' button below. "A MUST SEE! 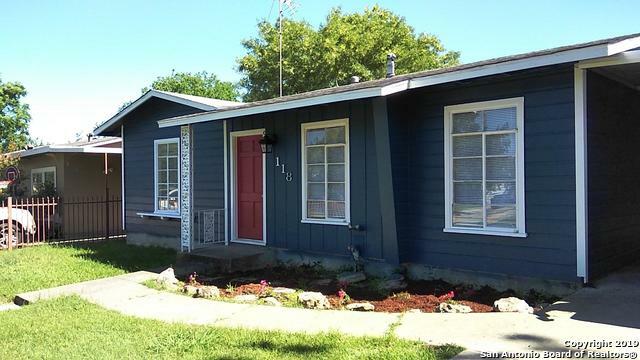 3 bedroom house 2 Baths, remodeled home near 410 & I-10. Has additional detached apartment, 1 bedroom 1 bath apt with living room, shower, & kitchen. 10 minutes from downtown and close to nearby shopping areas. Mature trees and a kitchen with over 30 cabinets! New laminate floors!" 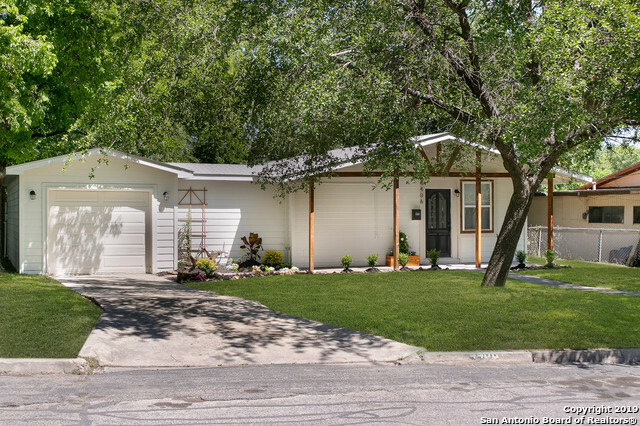 "Gorgeous newly remodeled modern ranch! Feat. 2 beds, 1 bath, and a master retreat/study that could be converted into a 3rd bedroom. All of the following features are BRAND NEW: windows, flooring (carpet & wood laminate), appliances, bathroom/kitchen fixtures, hot water heater, all lighting, blinds, roof, & HVAC. Home is freshly painted. Kitchen fts granite countertops, undermount sink, custom woodrange vent hood. Front yard is spacious with 2 mature trees and lush new landscaping." "Come see this polished gem of a home before it's too late! Major remodel was done in December 2018/January 2019 including doors, light fixtures, electrical, refinished wood floors, kitchen, plumbing fixtures, fridge, stove, insulation, windows, sheetrock, all outside siding, fascia, trim, garage conversion to 3rd bedroom, driveway expansion, and more! Roof installed by Cloud roofing on July 25 2014 and has warranty. HVAC also installed in 2014." "Gorgeous starter home!! Old and New harmoniously give this home a fantastic makeover. 2bdr and 1 bath full of character. Beautiful light-toned wood vinyl plank, classic bathroom with new marble floor, fresh paint in and out, granite countertops over vintage cabinets complete this designer kitchen. Functional touches with handmade barn doors and rolling kitchen island. New roof, new energy saving windows, copktop ss, range, central heat and air. Front and back porch, partial privacy fence." "Estate Sale. Unique 3 bedroom home on beautiful corner lot with beautiful trees, fenced, sprinkler system & detached garage, carport, with covered patio. Family room could be combo room with extra dining, Kitchen with lots of cabinets, inside laundry, washer, dryer & refrig convey. Fresh paint inside, newer carpet & tile floors. Newer HVAC, and NEW ROOF 1-2019. Must see to believe. Motivated seller, bring offers, negotiable! This is an Estate sale." 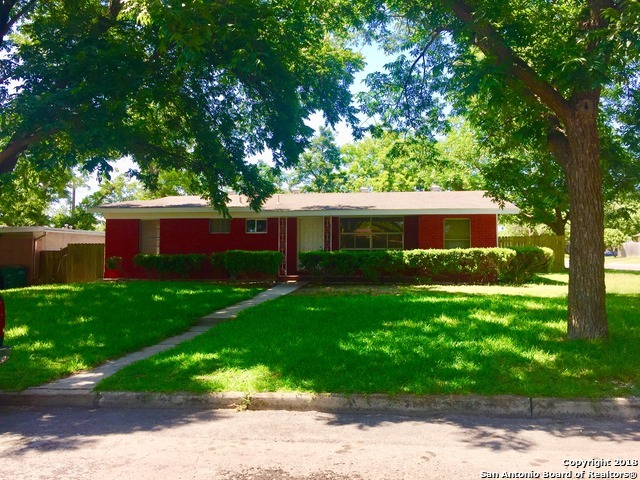 "Great 4 bedroom home in sought after North Central San Antonio with easy access to Loop 410 & I-H 10. This house is nicely updated and priced below market value, so it will go FAST! This is only being offered with owner financing with EZ qualifying of credit and income verification. 15% Down 9.75% interest"
"This home has many potential assets, huge covered back porch or Florida room - 26' X 13' that could be converted into bedrooms or large family room, back workshop was being converted as a guest room or She Shed. fence yard with alley access"